Having a sneaker collection (and addiction) really punches a hole out of one’s pocket. Not only are you breaking the bank with every purchase, you’re probably burning a huge chunk of your monthly pay check just to bring a new kickass pair home. And there’s the other perpetual problem: A year is never running low on releases that are certified home-run hits for sneaker collectors and snappy dressers alike. But it’s always good to be thrifty, even when you’re already set on buying those shoes everyone seems to be raving about. We’re all in for saving a few hundred pesos, so we listed places you could get kicks that are worth every cent—with some spotted at much, much lower prices. With the holidays fast approaching, it’s time to fetch yourself a present—sold with discounts, of course. The best part about shopping at Sports Warehouse is getting additional discounts on top of already slashed sneaker prices. Imagine getting an additional 10-percent discount on a find that’s already pegged at 50-percent off? You simply won’t get markdowns as low as they give them anywhere else. So whether you’re looking for training, running, or casual-wear shoes, a visit to Sports Warehouse is always a wise decision. Check this link for list of branches. Nothing makes us happier than seeing the color red—the color instantly bearing good news: Sale prices! The red tags here start at 20-percent off. 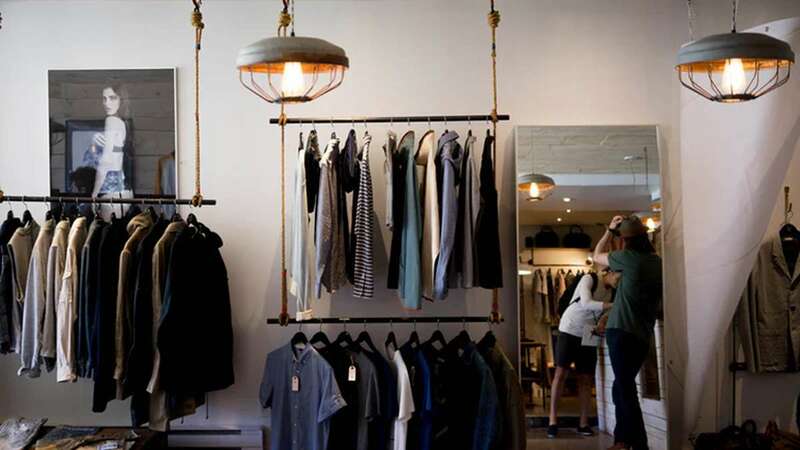 Apart from scoring new shoes, you’ll find all your athleisure needs here—from football jerseys, colorful slides, to sling bags. Sneakerhead’s tip: There are two in the area. If you find the shoe designs and sizes quite limited in the store in front, for sure you’ll find some goodies at the bigger Nike Factory Store located at the back of the Paseo de Sta. Rosa complex. Make sure you follow Nike Factory Store Philippines’ Facebook page (if you haven’t yet) for their announcements on buy-one-take-one deals—which include some retro Air Jordans, mind you! You know what’s the perfect way to save this gift-giving season? Making the most of buy-one-get-one (BOGO) deals. You can buy a pair for two of your friends easily, or, let’s be realistic—one for you and your best bud. The Playground Premium Outlet Store at The Studio, Riverbanks Center will be shedding their stocks of Nike, Asics, Converse, and Onitsuka Tiger among many other sneaker brands on Dec. 6 to 9 for their BOGO run. Sneakerhead’s tip: Meticulously check your cart items before purchasing and before leaving the store, especially those sold during their buy-one-get-one sales. Some customers have complained of pen marks, scratches, and even mismatched shoe sizes on their purchases! While you’ve already marked your calendars for The Playground’s upcoming irrefusable bargain, make sure to explore the rest of Riverbanks Center, too. Marikina probably has the largest outlet complex that has opened in Manila, and Riverbanks Center houses almost 60 brands alone. Among their go-to racks are Nike, Puma, Reebok, and Adidas. There are also some sports finds from Accel, Diadora, Umbro, and World Balance. Sneakerhead’s tip: Nike has the following styles on sale in this branch: the Lunarcharge Essential, Presto Fly, Court Royale, Air Jordan 7 Retro, and Air Jordan 1 Retro High PRM. Plus, you’ll get 25 percent off these kicks! Don’t like seeing someone else wearing the same shoes that you have? Then include a visit to the Black Sheep Project Sneaker on your to-do list. It might not have outlet prices, but the sneaker store is full of Europe and Japan regional exclusives that are worth the splurge. Maybe you’re also scouting for hard-to-find Adidas OGs? We spotted some Adidas Country and Rod Laver tennis shoes in their store! Eyeing those trendy releases that you can’t seem to find anywhere? Rock N’ Sole has most of them displayed on their racks—this store simply doesn’t wait for kicks to be available at the local market, they make it so. This store is simply where you can get the Adidas frenzy, the Yeezy Boost 350 Bred, Superstar slip-ons in different colors (PSA: Get your girl those pastel pink ones for Christmas! She’ll love it. ), Ultraboost V3 in “Oreo” and “Cream” shades, and even the NMD Gore Tex can be found here. We should also mention they don’t run out of Forrest Gump’s famous Nike Cortex style, too. 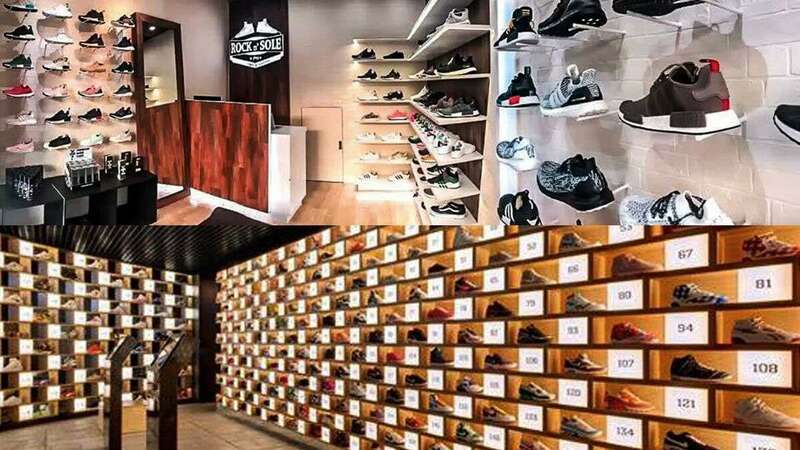 Rock N’ Sole saves you from doing a sneaker run all the way in Hong Kong. In fact, you don’t even have to move at all—they can ship your sneakers right to your doorstep (perfect for days when you feel like spending from your cozy couch).